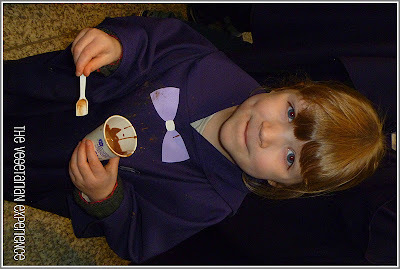 Last Saturday, eldest and I were transported to Joyville, a magical place where Joy is created through Chocolate. 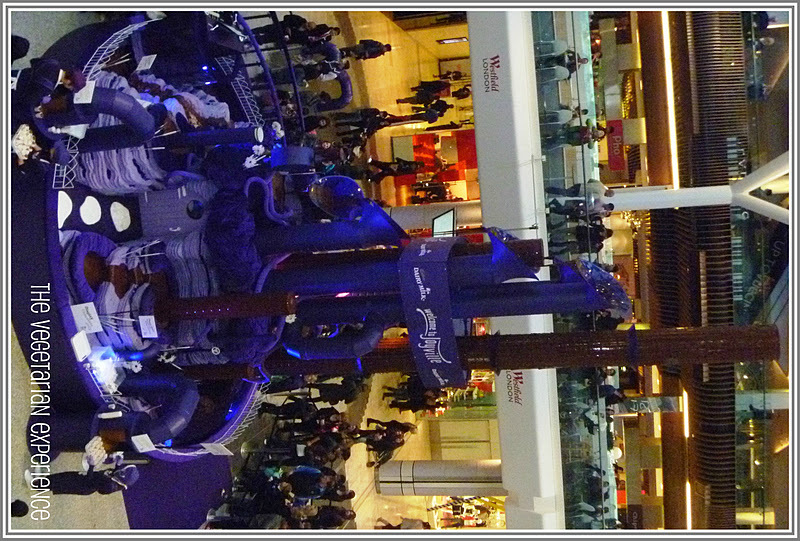 Joyville was bought to us in the form of a nine metre high Chocolate Fountain situated in the Westfield Shopping Centre. Whilst I must admit that Westfield Shopping Centre is most definitely not my idea of 'Joyville', a 9 metre high Chocolate Fountain is a pretty impressive sight to see and eldest was quite bowled over at the sight of so much chocolate. 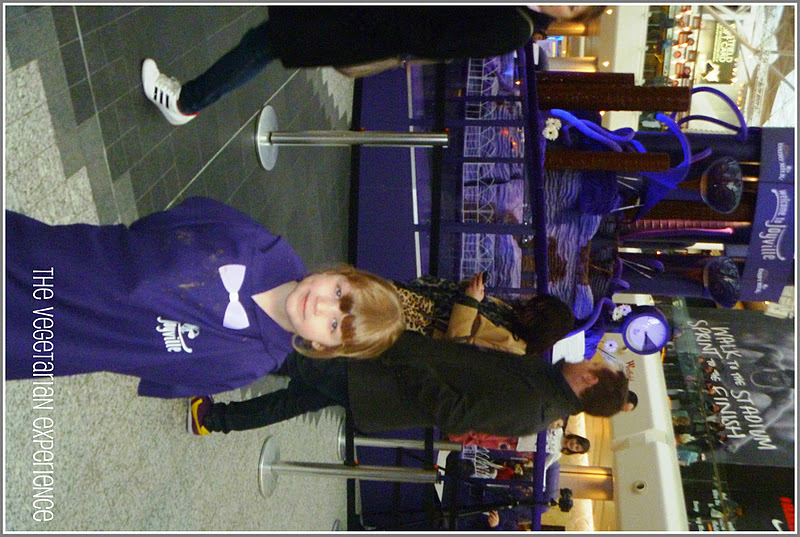 We met up with Ren over at Fabulicious Food and her son, and we all donned purple cloaks to go on a tour of the fountain, which was essentially a walk around the fountain, led by one of the workers from Joyville, and a chance to sample the delicious chocolate at the end. To find out more about Joyville click Here and you can find out more about the Chocolate Fountain Here. 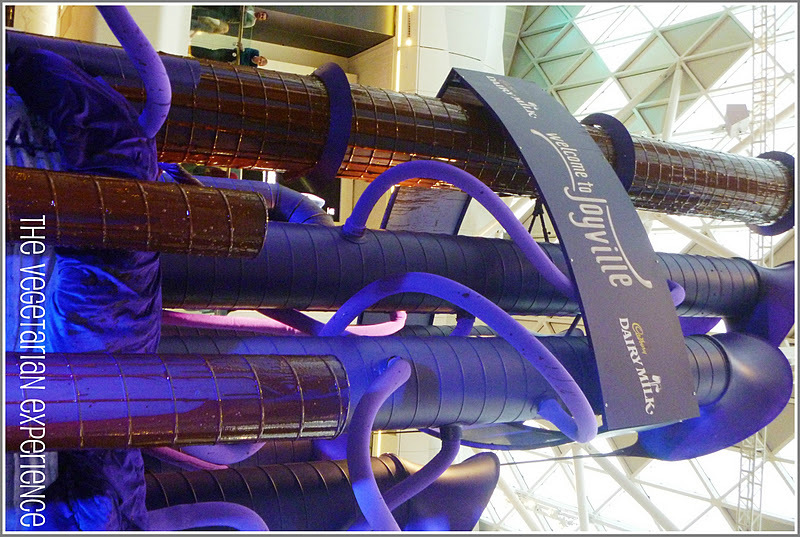 The Joyville Chocolate Fountain will be coming to various other towns in the UK within the coming weeks. Disclosure: We were invited to this event and received a goody bag as a thanks for attending.